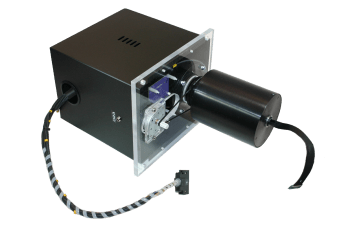 Our Powered Slip Ring (PSR) commutators allow tethered subjects to move freely without the tethers twisting by automatically rotating to compensate for subject’s movement. 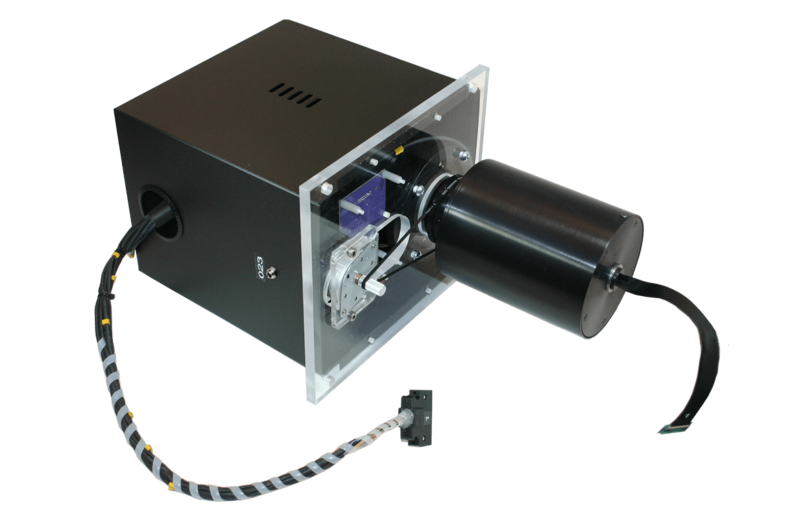 Optic sensor measurement is used to automatically rotate the slip ring to eliminate excess torque on the subject’s head, so the animal subject is more comfortable, and the possibility of headstage disconnect is greatly reduced. The PSR-36 includes 32 recording channels, 4 references, 4 stimulus channels and 4 power lines per headstage. Configurable for up to four headstages per commutator (128 channels), see product options. Signals travel from the commutator to the Digital Lynx SX data acquisition system via tether extension cable.